Hyper-converged infrastructure (HCI) has been earning a good reputation in data centres, whether it is of the entire branch offices, the IT duties of small and medium businesses (SMBs) or the virtual desktop infrastructure deployments. HCI offers numerous integrated services such as backup, data protection and solid-state drive storage, and allows seamless management and expansion of various compute, storage and network devices, i.e., users can scale the network flexibly by adding a new appliance to the hyper-converged cluster. For SMBs, the requirements for network switches is not the same as large enterprises when adding a 10G appliance. This post is to suggest some affordable 8-12 ports 10G SFP+ switches for SMBs during hyper-converged appliance (HCA) expansion. In today’s SMBs, applications are requiring higher data rate and some management features. 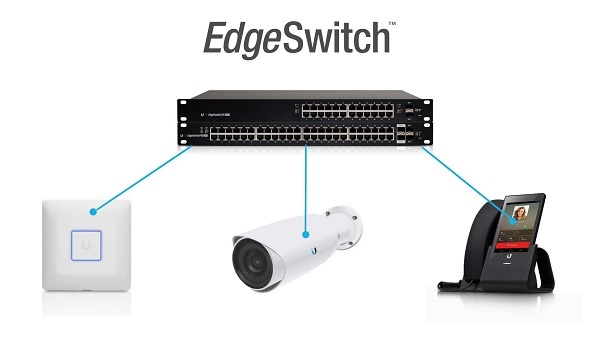 For an SMB with a considerable size, the core switches might be required to a fully managed switch with strong capacity, high bandwidth and high port count. The switches for the connectivity of the cluster (compute, storage and network devices) may also have many ports. But when adding a new appliance to the cluster, the switch usually needs not to be high port count or with high data rate. An 8-12 ports 10G SFP+ switch is generally enough for hyper-converged appliance expansion, which is rational considering the expenditure for expansion as well. The following table gives some 8-12 ports 10G SFP+ switches in the market for your reference. According to the information available, these switches can be got online well under $3K in brand new condition. Suppose that an SMB has a core switch which has a fabric capacity of 960 Gbps, and now it needs to add 5 nodes of 10G speed to the cluster for downstream, an 8-12 ports 10G SFP+ switch will not only give enough ports for current nodes and for uplink to the core, but also gives the SMB space to grow. These switches have some features in common. These common features are very helpful in SMB network managing and ensuring data quality. For all the switches mentioned above, some of them are fully managed switches while some are smart managed switches. But all of them are not limited to web interface management. They also support Command Line Interface (CLI), Telnet (multi-session support), SSH and SNMP (simple network management protocol). The most functions that an SMB might need are all equipped, such as VLAN, port mirroring, LACP (link aggregation control protocol) and RMON (remote network control). The QoS (Quality of Service) features include ARP (Address Resolution Protocol) inspection, ACLs (Access Control Lists), DSCP remark, etc. These features can contribute a lot in securing the SMB network, for example, with the help of ARP inspection and ACLs, the network switch can block fake ARP entries outside the system, so that data frames will not be easily sniffed or modified. Broadcast Storm Control is also supported in order to avoid traffic disorder caused by malicious attack from intruders. 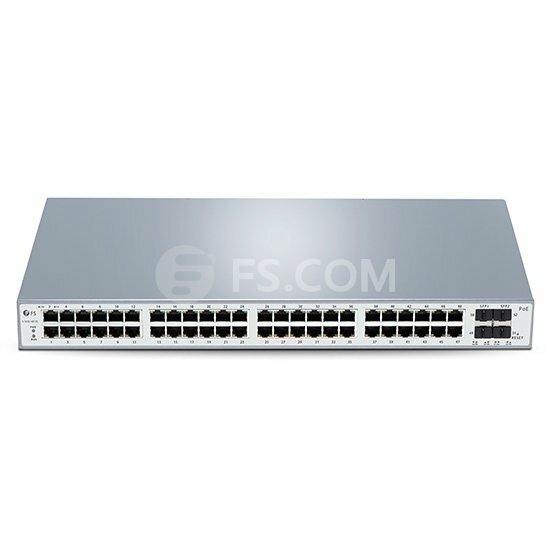 How to Connect These 10G SFP+ Switches? Although these 8-12 ports 10G SFP+ switches chosen for SMB hyper-converged appliance expansion are relatively low-priced, but the OEM 10G SFP+ fibre transceivers can overburden an SMB if bought in large quantity. 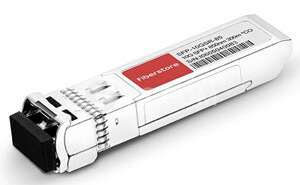 Four OEM 10G SFP+ transceivers can cost as much as a 10G SFP+ switch we have found above. Fortunately, there is a way to release the SMBs from expensive OEM optics. That is cost-effective 10G SFP+ compatible modules. So the total cost for the HCA expansion will not exceed $3k either. In addition, most OEM switches support third party transceiver modules and DAC cables from third party transceiver vendors. In sum, for SMB hyper-converged appliance expansion, the 10G SFP+ switches used to connect the core switch and the cluster need not to be high port count, but should be equippFed with enough management functions for SMB applications. An 8-12 ports 10G SFP+ switch is good enough. Related article: 10GbE SFP Switch vs 10GBASE-T Switch: How to Choose? This entry was posted in Enterprise Network and tagged managed switch, network switch, sfp+ switch on November 17, 2017 by Serenity Huang.